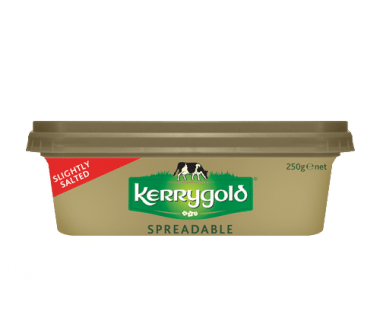 Luxurious but convenient, Kerrygold Spreadable is made from a blend of Kerrygold Pure Irish butter and Canola oil. Spread on hot toast and watch it melt. Plain and simple. Simply divine. Your mouth is watering, isn’t it? Go on, have a slice. Available both salted and unsalted, depending on your mood.